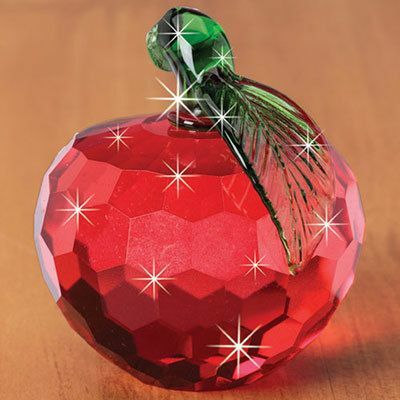 A shiny red apple that never loses its luster! Deeply faceted and features a brilliant green leaf and stem accent adorned with pretty relief details. 2¼"h.